Remarks Appears twice in chapel relief in tomb of Kaninisut [I] (owner of G 2155), south false door (north jamb, top register), and east wall (over chapel entrance, lower of two registers of striding figures in front of boat, figure on left); chapel (KHM Vienna ÄS 8006) found in situ in G 2155. Remarks Appears in chapel relief in tomb of Kaninisut [I] (owner of G 2155), east wall (third register, livestock procession, first figure on left); chapel (KHM Vienna ÄS 8006) found in situ in G 2155. Remarks Appears in chapel relief in tomb of Kaninisut [I] (owner of G 2155), east wall (over chapel entrance, top register, in prow of boat); chapel (KHM Vienna ÄS 8006) found in situ in G 2155. Remarks Appears in chapel relief in tomb of Kaninisut [I] (owner of G 2155), east wall (over chapel entrance, bottom register, in prow of boat); chapel (KHM Vienna ÄS 8006) found in situ in G 2155. Remarks Appears twice in chapel relief in tomb of Kaninisut [I] (owner of G 2155), south false door (south jamb, top register), identified as [jmj-r sSr] overseer of linen, and east wall (over chapel entrance, lower of two registers of striding figures in front of boat, figure on right); chapel (KHM Vienna ÄS 8006) found in situ in G 2155. Remarks Appears in chapel relief in tomb of Kaninisut [I] (owner of G 2155), east wall (bottom register, thirteenth figure from right), identified as [xtmw] sealer; chapel (KHM Vienna ÄS 8006) found in situ in G 2155. Remarks Appears in chapel relief in tomb of Kaninisut [I] (owner of G 2155), east wall (over chapel entrance, bottom register, kneeling on top of boat cabin pointing backwards), identified as [sSmw] butcher; chapel (KHM Vienna ÄS 8006) found in situ in G 2155. 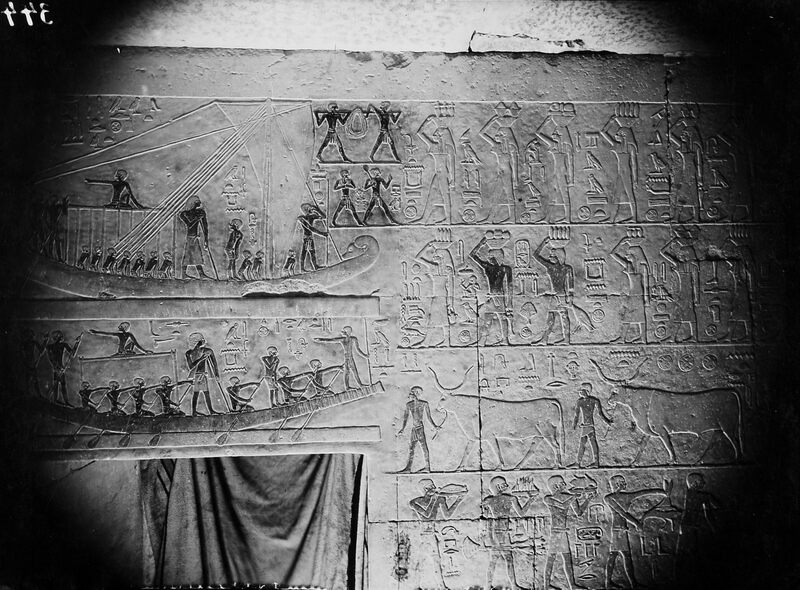 Remarks Appears three times in chapel relief in tomb of Kaninisut [I] (owner of G 2155), west wall (between false doors, middle register of ka-priests, second figure from right), identified as [Hm-kA] ka-priest, and east wall (over chapel entrance, both top and bottom registers, middle of boats standing in front of Kaninisut); chapel (KHM Vienna ÄS 8006) found in situ in G 2155.